Logical Thinking Skills for Academic Writing Poster New!! Logical Thinking Skills for Academic Writing With a Certificate of Completion!! 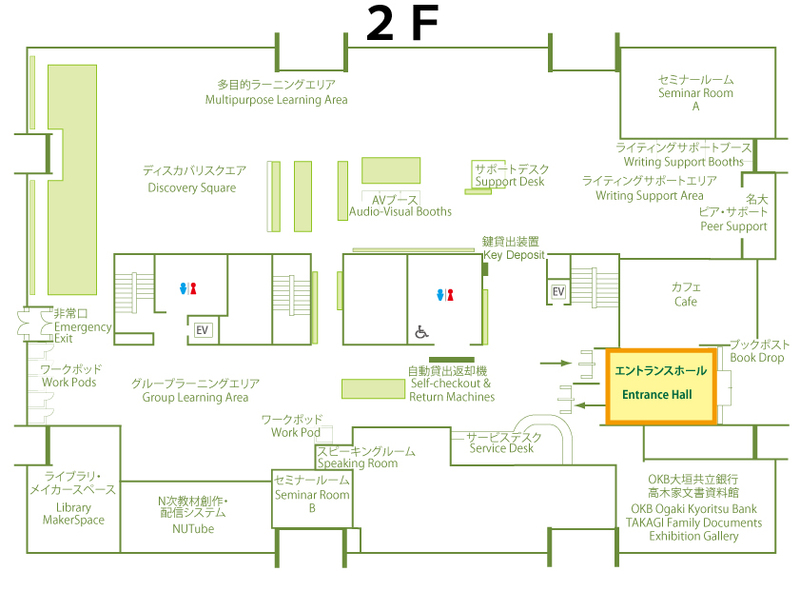 *Please check the signboard at the entrance of the Central Library to find the venue. 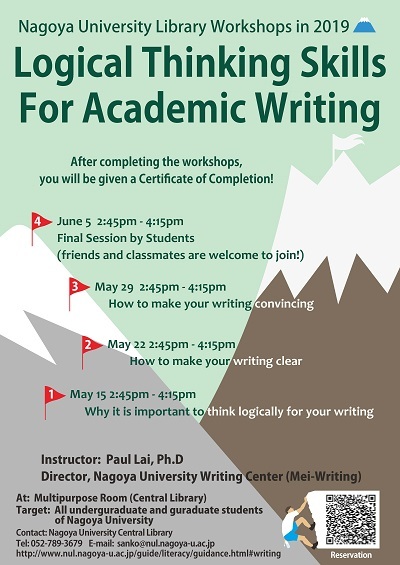 May 15 2:45pm - 4:15pm "Why it is important to think logically for your writing"
May 22 2:45pm - 4:15pm "How to make your writing clear"
May 29 2:45pm - 4:15pm "How to make your writing convincing"
June 5 2:45pm - 4:15pm "Final Session by Students (friends and classmates are welcome to join!)" 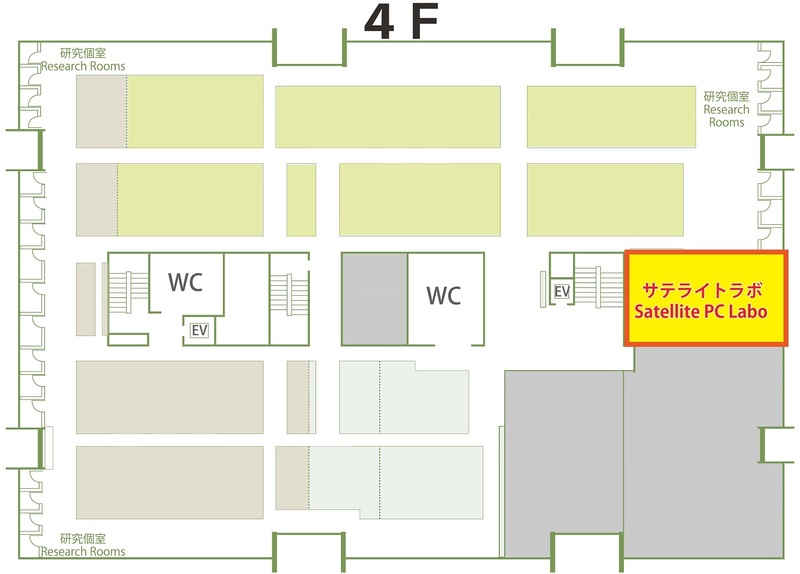 *Those who cannot participate in the first two sessions (on May 15th and 22nd) can still join the rest of the sessions as observers. We are very happy to present you the special workshop series on logical thinking skills for academic writing! These are very special workshops indeed! 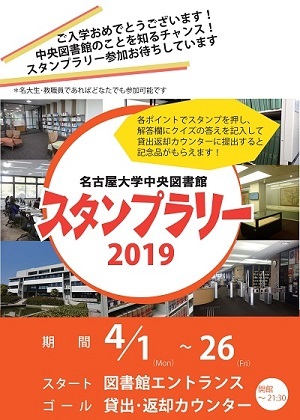 First of all, they are designed for students of Nagoya University at all levels, meaning that both graduate and undergraduate students are welcome to join! 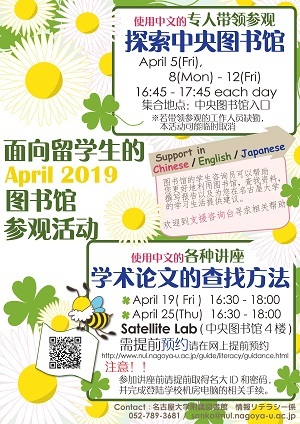 Second, the content of the workshops comes from a highly popular graduate course at Mei-Writing, “Logical Thinking Skills in Research Writing”. Third, a Certificate of Completion will be awarded to those who completed the workshops!! The goal of the workshops is simple and straightforward: To help you develop necessary logical thinking skills for writing clearly and convincingly. If you have difficulty knowing how to present your research ideas clearly, or if you have difficulty convincing others about the significance of your research, or if you simply have no idea how to start writing an academic paper, then these are the workshops for you!! 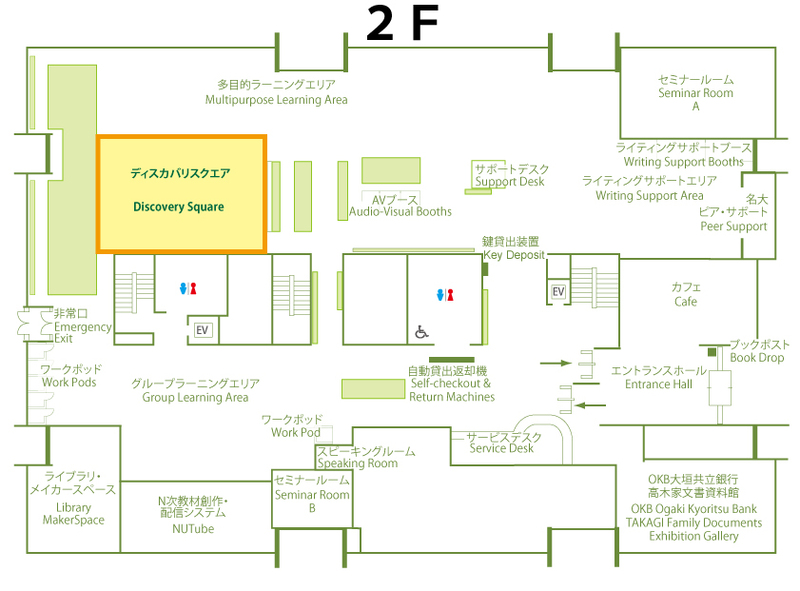 At the workshops Prof. Lai will introduce you a special method for thinking and writing logically. 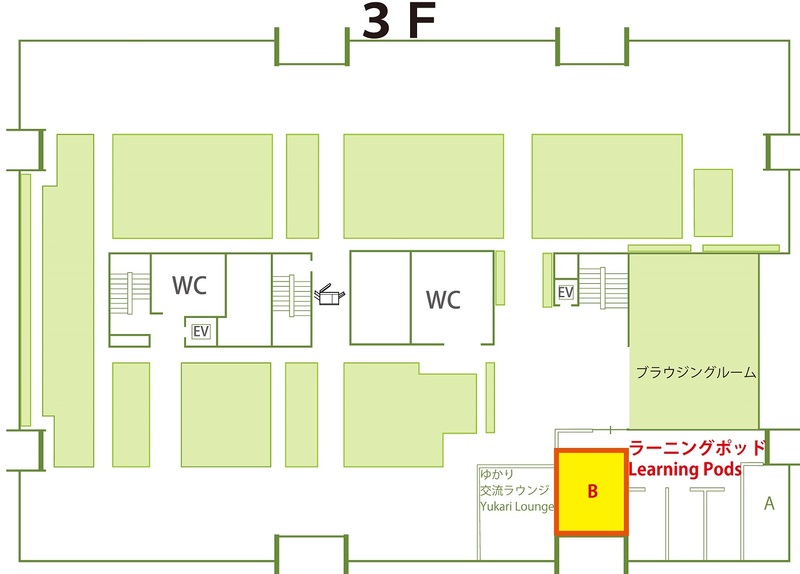 He will present you a set of logical thinking skills which are exclusively designed for academic writing. And he will teach you, through a step-by-step guidance, how you can practically apply those skills in your writing. All the workshops are free, and once again, you will be awarded a Certificate of Completion after you complete all the workshops. The certificate will be jointly signed by the director of the library and Prof. Lai. 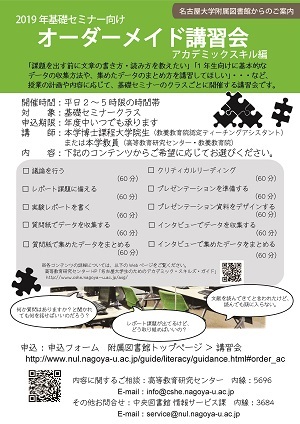 [サポートスタッフ企画] 基セミスタート　これだけ講座 ポスター New!! 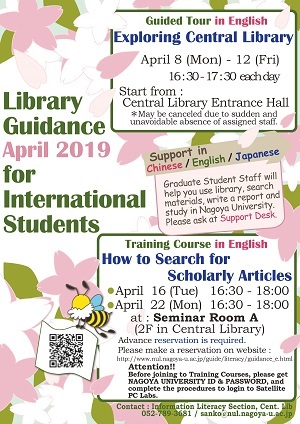 How to Search for Scholarly Articles (in English) poster New!! In this course, you learn how to search for scholarly articles and use e-resources(E-journals, databases) efficiently. 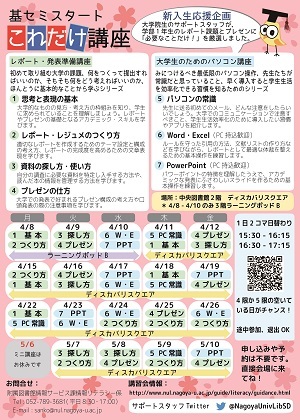 This course contains practice with PC. 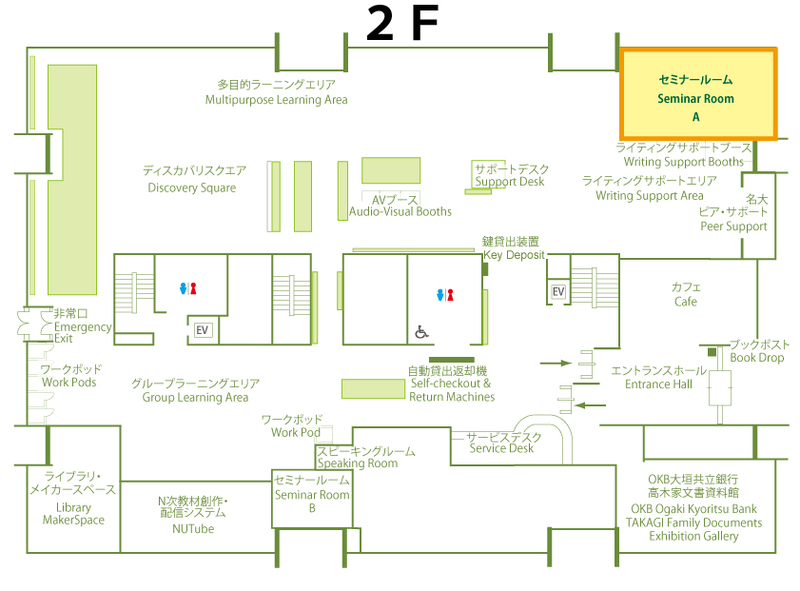 To use PCs in the library, NAGOYA UNIVERSITY ID and PASSWORD is required. 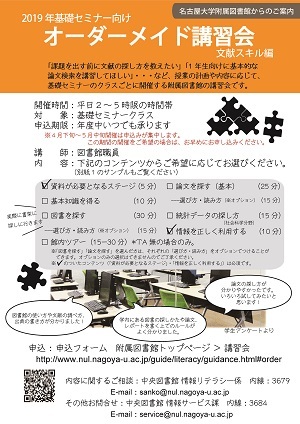 Before joining to Training Courses, please get NAGOYA UNIVERSITY ID & PASSWORD, and complete the procedures to login to Satellite PC Labs.